Eggs are an absolute mainstay of my shopping list and have a multitude of uses in the kitchen. Breakfast, baking, pastry, pasta, souffle, ice cream, custard, sauces, main meals and much more. Egg mayo is undoubtedly my favourite sandwich filling and with eggs on hand you can always whip up a quick and nutritious meal in minutes. 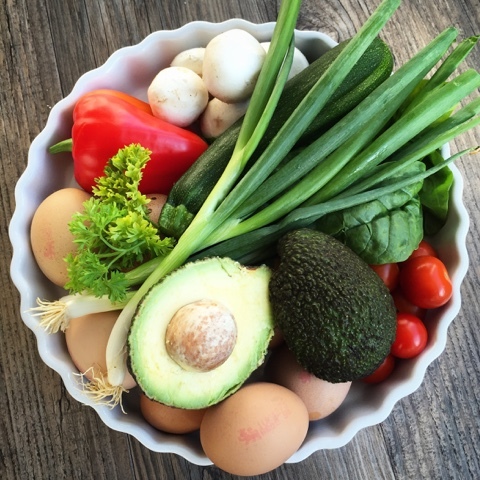 What’s more eggs are a great source of protein, vitamins and minerals and keep you feeling fuller for longer. For me it has to be Free Range and for the highest standards of food safety look out for the red British Lion mark on your eggs. 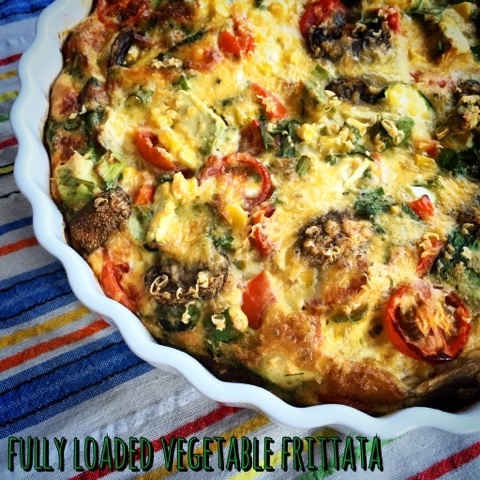 Today I'm sharing a fantastic Frittata recipe from vlogger Barry Lewis of My Virgin Kitchen. I've never made anything like this before without using a carb such as potatoes or pasta and the inclusion of avocado was totally new on me. It certainly was fully loaded and the amount of veggies meant you really didn't miss the carbs. The avocado worked really well as did cooking it in a flan dish in the oven as opposed to a frying pan on the hob and finished under the grill. I greased my flan dish before pouring in the mix and the slices came out perfectly. It was also great served cold the following day and would make perfect picnic food. For further vegetarian main meal egg inspiration take a look at these fab recipes from fellow food bloggers. 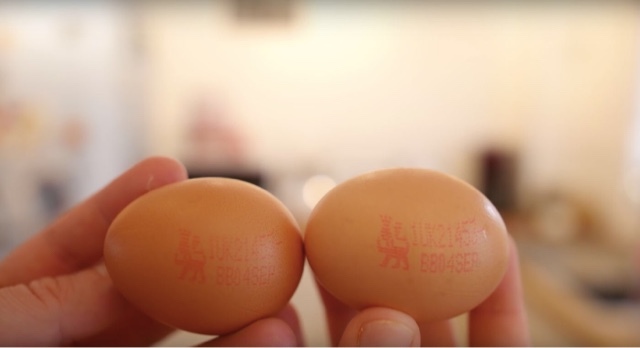 Disclosure - This is a sponsored post for British Lion Eggs. All views expressed are my own. My daughter turned up her nose at it and pretty much ate only the egg and sweetcorn. Her friend ate it all as did my son. You can only but try! 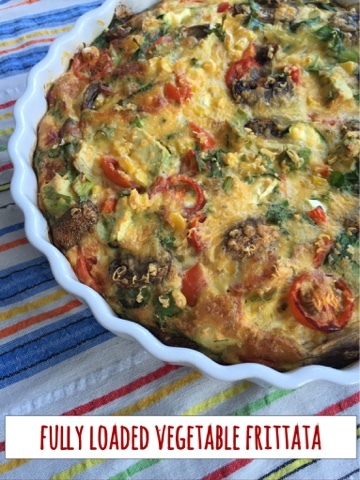 I love a good frittata, and really like the idea of putting avocado in this one. The avocado works amazingly well, such a fantastic creamy texture. I'm afraid I'd absolutely no idea who he was but it turns out that my 13 year old son is a huge fan of his channel! That sounds amazing Claire!! And thank you for mentioning my egg curry. I've seen quite a few egg curry recipes now and I really should give one a try. Fab recipe, what a great idea - I wouldn't have thought of cooking a tortilla in a dish in the oven but makes lots of sense! Thanks for linking to my Spanish Tortilla. Neither had I but it makes such good sense and no worries about it sticking to the bottom of the frying pan or burning under the grill. This recipe really does pack the veggies in. The avocado is a genius addition. Now that sounds super delicious. Like you. I've never made anything quite like this before, but I could see how well it would work. Thanks for linking to my quiche. Its a much less stressful procedure than doing it in a pan. I'm a convert from now on. Looks fab, except the avocado! Am I the only person who thinks cooked avocado is weird and wrong?! I'll take the fritatta without the avo, but have a few slices RAW on the side, I think. Mmmmm. I love cooked avocado, especially on the BBQ in kebabs. We're going to have to agree to disagree on this one! 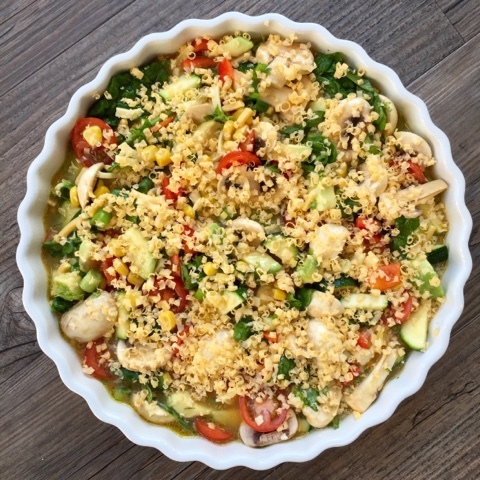 Its such a quick and easy dish to make, and perfect for using up leftovers in the fridge! I couldn't quite believe that all the veggies were going to fit in the dish when I started preparing them! I am very jealous of you having your own chickens. So much better than shop bought eggs. It really does work - I promise! The texture when cooked is amazing.